I’m celebrating a little bit this weekend. I just made it over a pretty major hurdle that has been a true challenge the last several months (you know, one of those obstacles that demands every last ounce of your energy just so you keep your head above water). 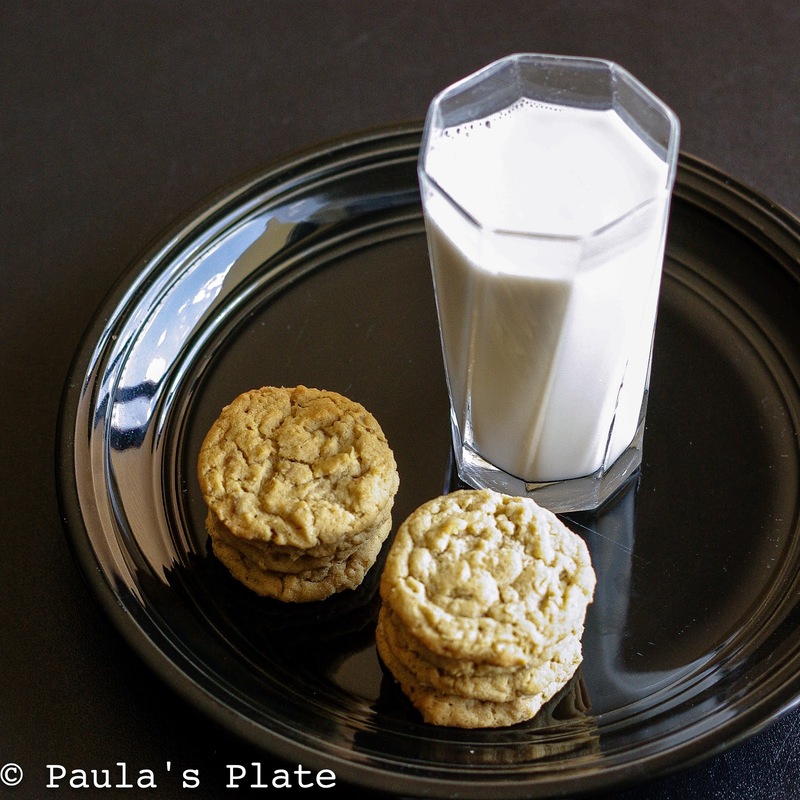 I wont bore you with all of the details, but I will share with you how it inspired my newest recipe for peanut butter oatmeal cookies! As you are all well aware, a crazy schedule leads to the need for simple cooking…and if you’re me, that means a whole lot of crockpot oatmeal and sandwiches. In fact, various combinations of oatmeal for breakfast and peanut butter and jelly sandwiches for lunch have been my staple meals for a while now; they are fast, easy, filling and offer just the right amount of comfort. Since these two reliable yet unassuming pantry staples have kept me fueled and energized these past months, I have decided to give them a salute. Therefore, I present to you, the peanut butter oatmeal cookie. Slightly crisp on the outside with a soft and chewy center, these peanut butter oatmeal cookies are a perfect pick-me-up at any time of the day. 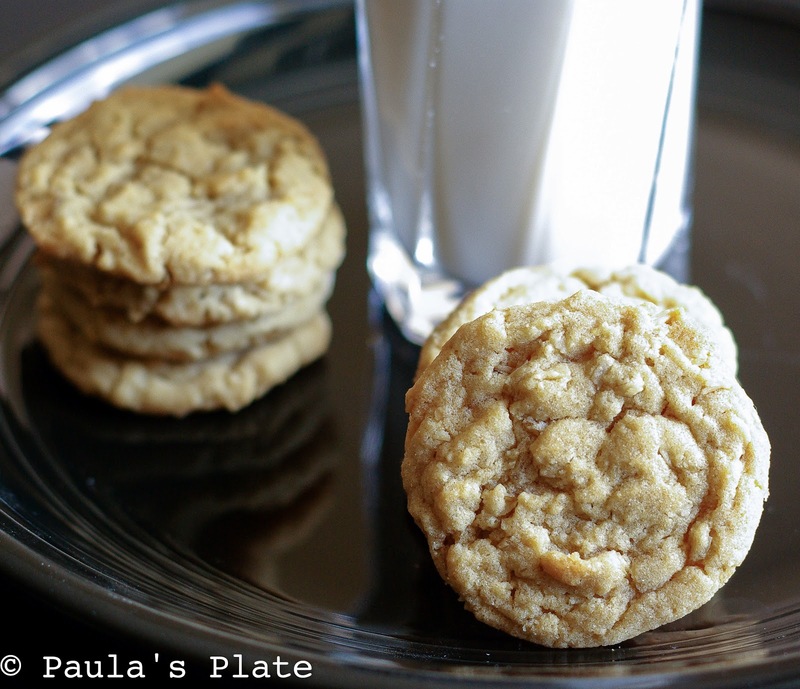 The comforting sweet and salty combination from the peanut butter pairs wonderfully with the unique texture of the oats resulting in a moist, tender cookie that stays fresh in a sealed cookie jar for several days (if they last that long…) Enjoy! When you overcome a major obstacle, how do you celebrate? Let me know below! This recipe yields about 80 2-inch cookies when I use the small OXO 2 tsp. cookie scoop. The recipe calls for butter flavored shortening; if you are opposed to shortening, feel free to use all butter. That being said, the shortening really adds to the cookie’s texture. Also, if you use all butter, I would refrigerate the dough for about 30 minutes before baking to prevent the cookies from spreading too much. These cookies freeze very well! In a large bowl, cream together shortening, butter, brown sugar, white sugar, and peanut butter until smooth. Beat in the eggs one at a time until well blended. Beat in vanilla. Combine the flour, baking soda, and salt; beat into peanut butter mixture until just combined. Drop by teaspoonfuls (see Paula’s Notes above) onto parchment lined cookie sheets. Bake for 8-10 (9 was perfect for me) minutes in the preheated oven, or until lightly brown. Don’t over-bake. Let cool 2-3 minutes on cookie sheet. Finish cooling on a wire rack and store in an airtight container.